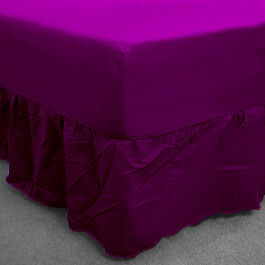 This sumptuous and stunning pink fitted valance is made from 50% cotton and 50% polyester blend. Our super soft pink fitted valance will bring a relaxed and lavish feel to your bedroom. Easy to care for, our fitted valance is machine washable and long lasting. 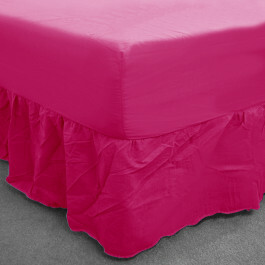 The lively pink colour will add charisma to your living space. 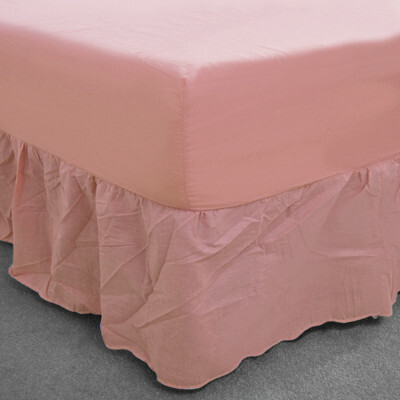 This pink fitted valance is a superb addition to your bed linen. Its elastic edges fit perfectly to your mattress and 13" frill cover the base of the bed completely. Available in various sizes, you can easily choose the size you require. Renovate the look of your bed with our exclusive range of colourful valances. Our valances are available in plethora of vibrant and pulsating hues to spruce the ambiance of your bedroom. Our lavish fitted and base valances give your bed a fanciful finishing touch and a tidy look. Made from high quality polyester and cotton blend, our fitted and base valences are smooth and give glorious sheen. With thread count of 180 and 150, our luxurious fitted and base valences are highly durable, handy and machine washable to keep it clean and tidy. 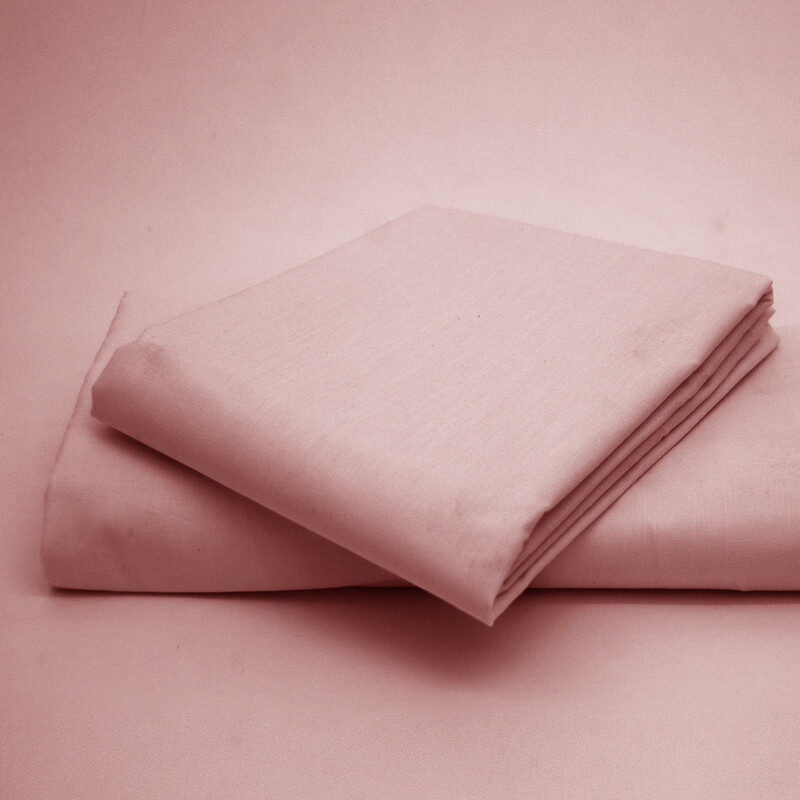 Bedding Mill offer plush and high quality fitted and base valences in single, double, king and super king sizes to go well with your needs and requirements. 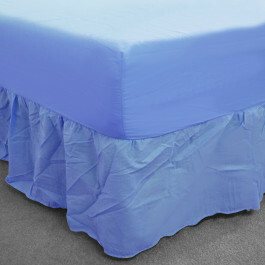 For all orders over £30, we offer free delivery services to most of the UK mainland. However, a standard delivery of £2.99 applies to all orders to most of the UK Mainland for orders under £30.00. These charges may vary, according to the location in a few more remote areas of the mainland and those outside the UK mainland. For further information you can refer to the delivery charges table below or if you are not able to find your area's zone then please contact our customer services team. It is our aim to dispatch the orders within 2 working days of the order being placed by you. Once we have dispatched your order, a tracking number will be sent to you via email. If due to any unforeseen reasons your order cannot be delivered within 5 working days, we will email you a status update of the order and if you wish to choose an alternative product or cancel the order, you'll certainly be entertained. We dispatch on all working days from Monday to Friday and you'll get the standard delivery between Monday to Friday. However, we can arrange to deliver your product at a more specific time suitable to your convenience and availability for an additional charge. Please contact our customer services team for more information at sales@beddingmill.co.uk or alternatively call us at 01274 725860.